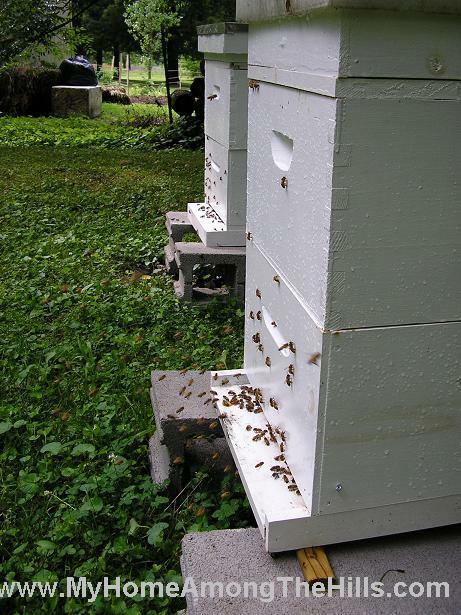 You can see that there are only bees on a few frames in this nuc. 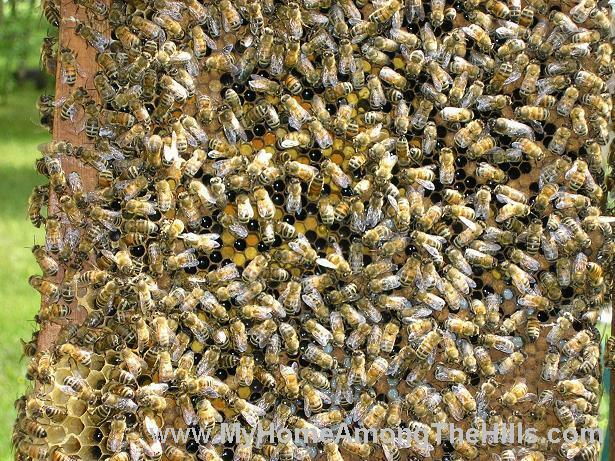 The white things are bee larva. 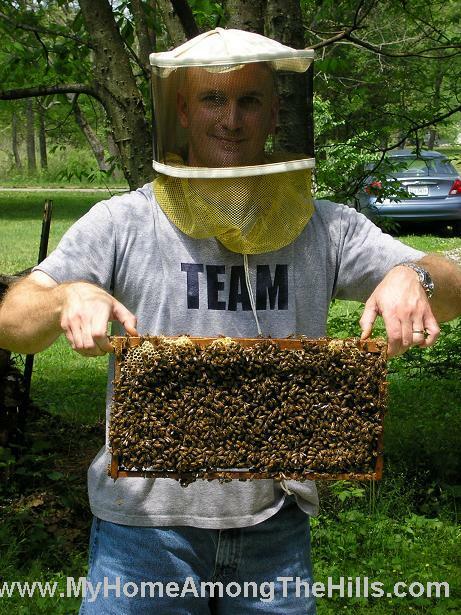 Shiny is nectar/honey-in-the-making. 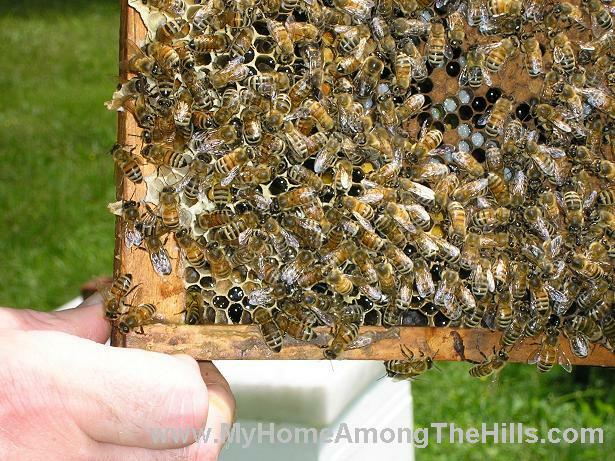 Yellow is pollen and the brown covers pupating bees (aka capped brood). 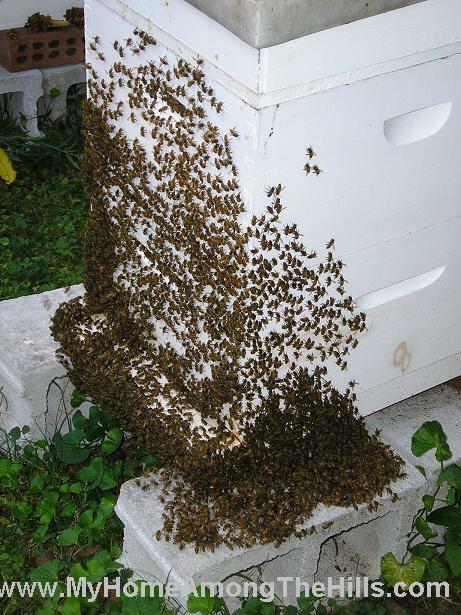 When it gets really hot, bees will sometimes “beard” the hive. 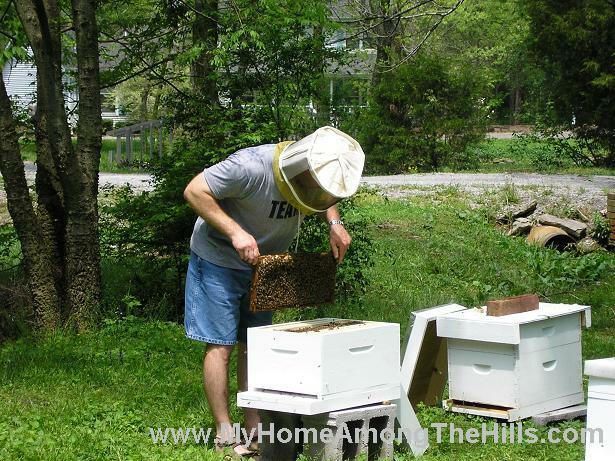 One hive in particular used to do this all the time. It had pretty good ventilation (screened bottom board, propped top cover) but they often did this all night. 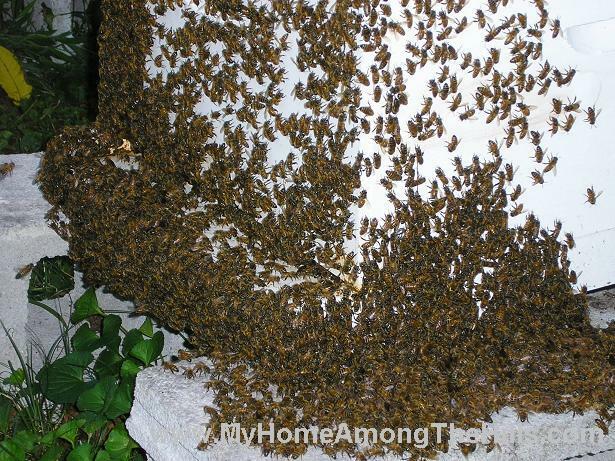 This is a pretty close shot of a swarm of bees. They were gentle as can be. 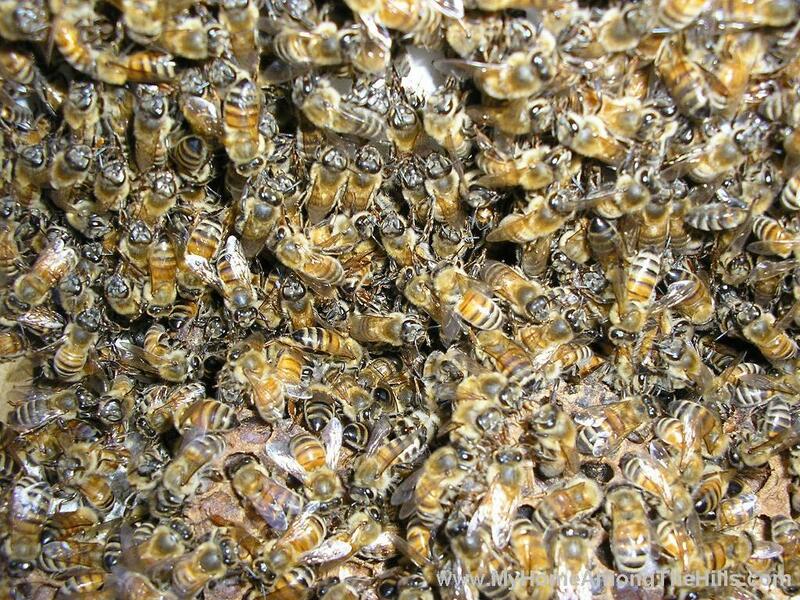 Many bees come and go from the hive but many remain doing other work. 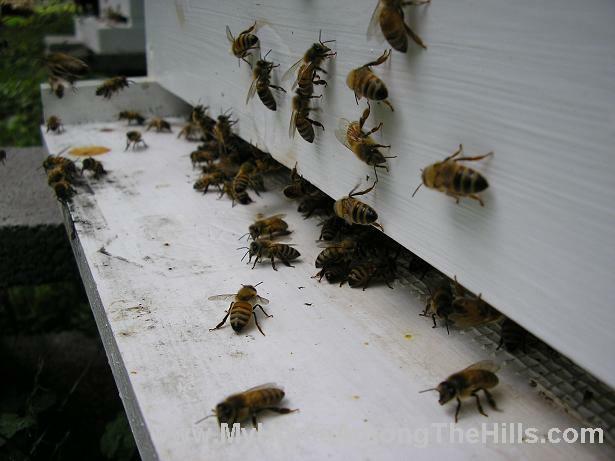 Some of these bees are standing on the landing board fanning their wings to cause a draft through the hive. 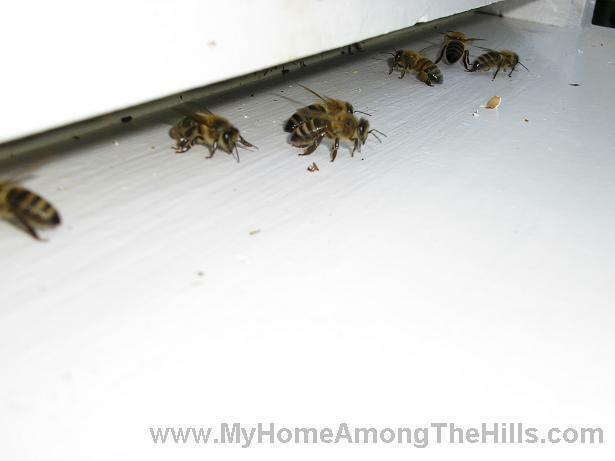 They will sometimes bring a drop of water back and fan over the water to maintain the proper temperature.